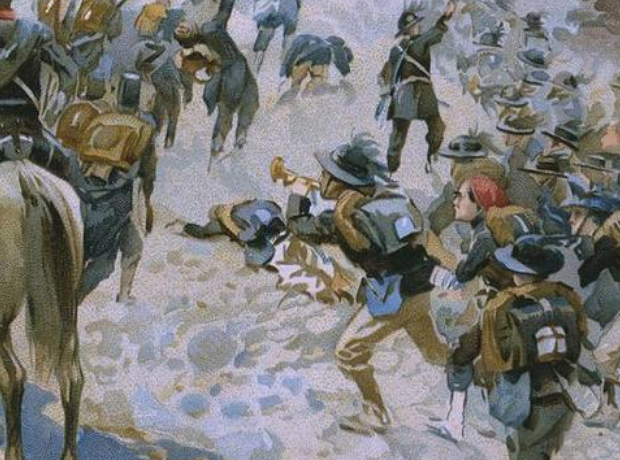 This bugler is getting stuck right in to the 300,000-man battle as the French and Sardinian armies take on the Austrians. It was the last major battle in history where the armies were under the personal command of their monarchs. Obviously the bugler was keen to impress.